The Second Rite of Reconciliation will be celebrated in St Joseph's Church in both Lent and Advent. Keep your eye on the bulletin for dates. After 8.30am Mass through until 5.30pm on the Solemnity of Corpus Christi And on the Solemnity of Christ the King. Will be on Friday, 4th March 2016. Venue is to be confirmed. This is an opportunity to pray ecumenically with our Christian Brothers and sisters from this area. It is usually a well-attended service and supper follows. The parish office is maintained at St Joseph’s Priory. All parish enquiries can be directed through the parish office. As well as the priory telephone numbers an integrated phone system allows the use of St Norbert College lines during business hours. Our Parish has a Planned Giving Programme which is a weekly envelope system with a contribution of whatever amount you feel you are able to afford. Over the years this has helped to build our Church, renovate the hall, renew the church carpet and other projects. Not only does the Planned Giving Programme fund these major projects, it also maintains our current needs, i.e. electricity, insurances, candles, altar bread and wine. The financial support of Parishioners is the only support of our Parish – but individual circumstances do change; thus contributions can be adjusted accordingly. If you would like to join the Planned Giving Programme please see one of the Norbertines or CLICK HERE to download a Planned Giving Form. Envelopes are available at any time during the year for new contributors. New envelopes for current contributors are distributed each year in June. There are seven sacraments in the Church: Baptism, Confirmation, Eucharist, Penance, Anointing of the Sick, Matrimony, and Holy Orders. The purpose of the sacraments is to make people holy, to build up the body of Christ, and finally, to give worship to God; but being signs, they also have a teaching function. Baptisms in our Parish are held on the last Sunday of each month. Baptism is not celebrated during the Lenten Season in this Parish, but there will be Baptisms during the Easter Season. TIMES: Baptisms are on Sunday morning starting at 11:15 am. The Second Rite of Reconciliation will be celebrated in St Joseph’s Church in both Lent and Advent. 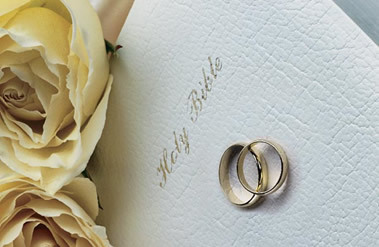 Contact the Parish Office or Parish Priest on 9458.2729 at least six months prior to the proposed wedding date. No booking for our Churches is confirmed until both legal and church papers have been completed by the priest-celebrant. After school sessions for children who do not attend Catholic Schools are provided by Catechists in St Joseph’s School. There is a significant process which must be followed for your child to receive the Sacraments. A notification about enrolling children for these classes is placed in the parish bulletin. For further information Contact Fr Peter Joseph on 9458 2729. The Norbertine apostolate extends to work in two parishes - that of the combined suburban parishes of Queens Park/East Cannington and the country parish of York. 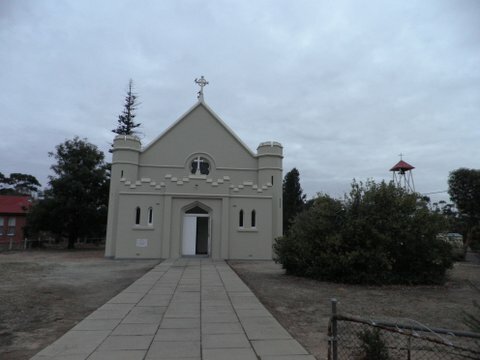 While the Norbertines came to Queens Park in 1965, the parish was entrusted to the Community in 1977, East Cannington added in 1994, operating as a single parish. 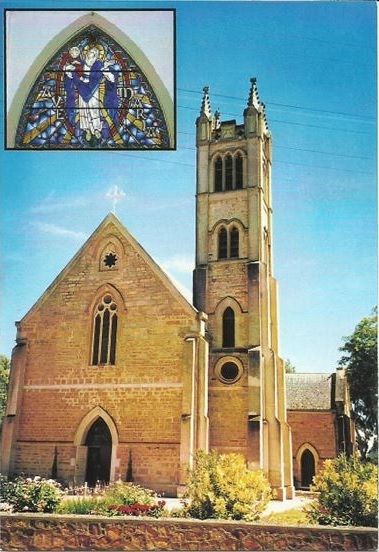 The centre piece of the parish is the Priory Church in Queens Park, dedicated in 1991 as a result of extensive work and co-operation between the Norbertine community, local parishioners and St Norbert College. 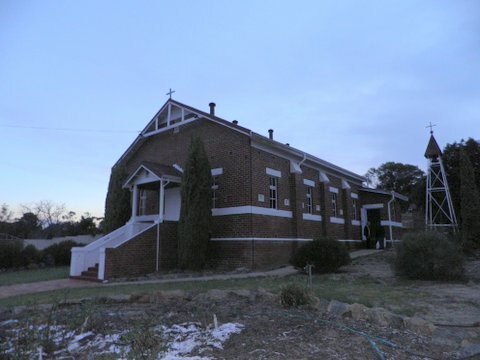 The church is both functional and attractive, and built in a style that bests suits the Australian lifestyle and weather. Complementing the surroundings, the Church, Priory and College share a unique bond of closeness in geographical and spiritual terms. The central and smaller domes of the Church provide reflective light and enhance the spacious feel of the building. Fr Peter Joseph Stiglich O.Praem has been the Parish Priest since April 1993. The Parish is active with choirs, liturgy groups and service groups flourishing. St Francis of Assisi Church began its history in 1954 as a chapel of ease of Queens Park Parish. 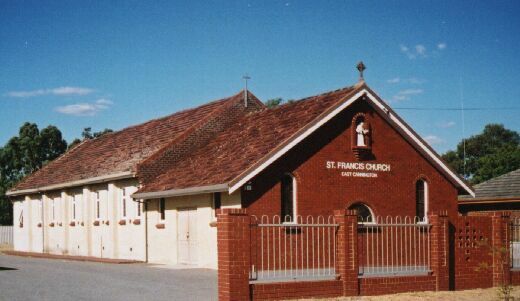 In 1964 St Francis became a parish in its own right. 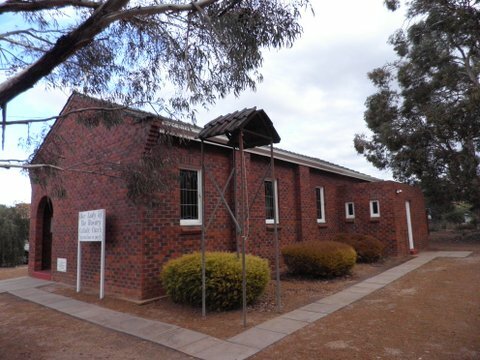 Given the shortage of priests and the demographics of the area, the Archbishop of Perth reamalgamated the two parishes after the death of Fr Carmelo Di Giorgio in 1993. The Parish officially became one again on January 1st, 1994. The Parish "plant" consists of church, the Parish house and a small hall. In 2013 St Francis Church was closed because it is unsafe. The Archdiocese is currently in the process of assessing the state of the building and the best outcome for the future. Reconciliation before each weekend Mass or by appointment. The country Parishes of York, Beverley, Pingelly and Brookton are under the care of Fr Stephen Cooney O. Praem, who has been there since November 1999. York holds special favour to the Norbertines, as it was to here that the first Norbertines went upon arrival in Australia.